With TI6 coming up, here’s a look at some of the best submissions for the event’s short film contest. 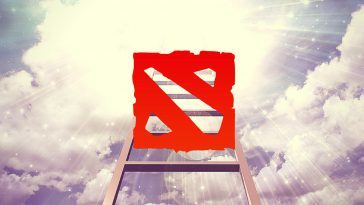 The sixth iteration of Valve’s flagship Dota 2 tournament is round the corner, and entries have been flooding in for the event’s short film contest, vying for a chance to be shown at The International 2016. This is only the second short film contest to be hosted at The International, so we’ve still got a wide range of entries, rather than one cut and paste formula for a “winning entry”. Since there’s so much variety of good submissions to choose from, we thought we’d narrow down the list. You can vote for the individual submissions in the links provided below. 13. Rubick’s Mega Magic Stick! Because what short film contest is complete without a teleshopping video? There are a lots of hidden memes in here, for example, the video ends at 3:22. This is quite possibly the most anime thing ever, while also being great fun, and of course, really well-animated. What happens when miniaturized Dota heroes come to life? They start acting like little shits, of course. 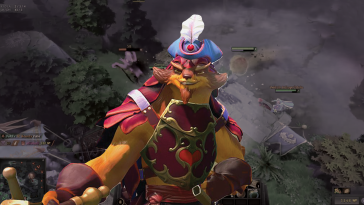 This entry visualizes exactly what we might hate if Dota 2 heroes annoyed us IRL. Have you ever wondered how Roshan keeps getting the aegis back? This one is really fun to watch. Watching this, one wouldn’t think that this was made by the same guy who made that heart-string tugging Tiny + Lanaya video for last year’s edition of the contest. Ever get that feeling of Deja Vu? If this hasn’t happen to you in a game before you probably don’t know what it feels like to have everyone spam >Space Created in all chat. The attention to detail in this one is amazing, like Sven covering his ears when Queen of Pain uses her ultimate, and Crystal Maiden holding her nose when Pudge uses rot. The voices are brought to life really well. Bonus points for the groan-inducing pun title. The end is nigh as Beethoven’s 5th plays over a Techies-fueled carnage. Maybe it’s just the music but this film reminds us of Fallout 4, but maybe that’s what Valve was planning when releasing Techies. This one has some pretty well executed innocent humor. It is also reminiscent of an interlude in a Wes Anderson film, and we mean that in the best possible way. Sometimes it’s best not to go full retard and just stay in the trees. This entry genuinely gives us PTSD about every Pudge player on our team, because this is exactly what they’re like. This chilling entry amazingly depicts one of Oracle’s visions. The fighting, music, and execution are all perfect, and this is an entry we watched multiple times because it’s just so well done. If Dota 2 were ever made into a film, this is what we’d want hero battles to look like. This one is excellently choreographed, with great music and beautiful animations. Watching the battle go down is sure to get you pumped and this is why we believe this submission is the best one. The International 2016 kicks off in Seattle with the Wildcards on the 2nd of August. One of the our favourite players fighting for the Aegis is Bulba, who has yet to win a LAN. 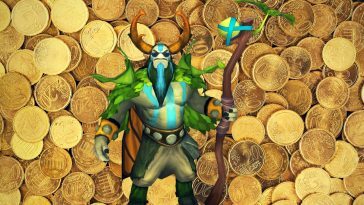 Check out our tongue-in-cheek article to see if TI6 will be Bulba’s first LAN win.